From foundation to shower gel and shampoo your daily beauty routine could be undermining your hormone balance. Many women turn to natural progesterone to restore that balance, but what can you do to prevent it? This is not news from the beauty industry itself – no surprise there – but comes from research done by the American Society for Reproductive Medicine. Phthalates are chemicals commonly added to women’s cosmetics and can seriously disrupt hormones. 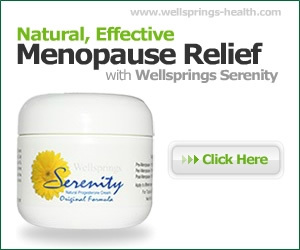 Women can experience early-onset menopause as much as 2.3 years earlier than those with lower exposures to phthalates. They are so common in so many products that it is unlikely you have not used something that contains them. Phthalates are used as softeners for cosmetics, shampoo, shower gels, plastic and vinyl. Taking steps first to reduce all forms of oestrogen and avoiding oestrogen dominance symptoms will minimise the impact of phthalates on your hormones. 1 Always check ingredients before you buy. Look for the these abbreviations on the label: DBP (di-n-butyl phthalate), DEP (diethyl phthalate), DMP (dimethyl phthalate). 2 Go for fragrance-free where possible as ‘fragrance’ often indicates a collection of compounds including phthalates. 3 Herbal remedies are a traditional way to help hormone balance. The most frequently used are black cohosh, passionflower, red clover and chasteberry (Agnus Castus). These can help decrease your chances that phthalates and other endocrine disruptors will worsen your hormonal symptoms. Women do vary in their response to herbal remedies so you may have to experiment to find the best combination. 4 Bioidentical natural progesterone is essential to control the effects of excess oestrogen (oestrogen dominance) as women lose the natural protection of progesterone at menopause. Oestrogen dominance can occur at any age, but is more common as women approach menopause. 5 Limit exposure to chemicals in food by going for organic food wherever possible. Always wash all fruit and vegetables with a specific washing agent available from health stores. 6 Vitamins should be coming from our daily diet, but we rarely have sufficient to protect us from xenoestrogens (environmental oestrogens). They also help with our body’s hormone production and cell regeneration, and are essential to help us detox , particularly the antioxidants like vitamin C, vitamin E, and beta carotene. 7 It is a daily task for your body to filter out and eliminate toxic waste and adding in extras for it to cope with, such as phthalates, makes that task harder. Support your body by ensuring you get enough sleep, regular exercise and plenty of water and that will optimize your capacity to detox.